Today marks the beginning of the New Year on the Jewish calendar. Rosh Hashanah is a high holy day that commemorates the creation of the universe—the birth of the cosmos. It is a time of new beginnings, a time to take stock of where we are and envision all that is possible—a time to set goals and get clarity. Now is the time to make the most of the last 100 days of this calendar year…to align yourself with what God is doing in these momentous times. Don’t wait one more day. Get your copy of Hello Tomorrow NOW! And don’t put off registering for what will be the most powerful End Your Year Strong event ever! Brace yourself for the prophetic shifts taking place in all spheres coming to pass in the year ahead. Put yourself at the epicenter of empowerment this December 7-8 in Atlanta! This week, as we mark “the beginning of the months” as ordained by God in Exodus 12:2, take time to reflect on why you are here at this significant time in history. Get clear about who you are and why you are here—your true identity and purpose. This is why I wrote Hello Tomorrow, and why I want you to join me at this year’s End Your Year Strong. We will focus on clarifying and refining your vision for greater impact and success in this prophetic season. Now is the time to position yourself for all that lies ahead from today forward—because a person of faith doesn’t just step into the New Year, they lean into it. This is going to be a year of radical transition. God has been downloading so much about the significance of the year 5779—and the powerful spiritual principles we need to be harnessing as we move into 2019. Today, be mindful of this sacred time of year: Rosh Hashanah—a celebration of new beginnings and new life—always celebrated in the seventh new moon of the year. 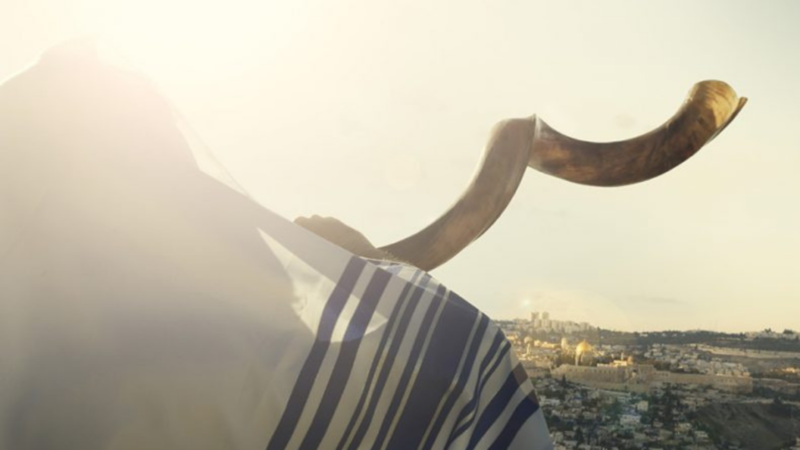 …and is commemorated by blowing the “shofar” as a call to action and promise of God’s deliverance. This is a beautiful opportunity to rededicate our lives to God, reflect on His goodness, remember His faithfulness, and reach inward to hear His Spirit speaking to our spirits. It is a time of restoration for the people of God—a time to renew our hope and expectation of yet greater things—a time to get clear about who we are and why God has placed us on the earth at this time. I will be teaching about this prophetic season at End Your Year Strong December 7-8 in Atlanta, GA! For now, be encouraged, be expectant, and begin preparing your heart for all God has in store for you. Get clear on what God is calling you to do…and then be diligent in your pursuit of it!